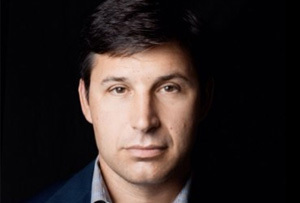 Finance chief Anthony Noto mistakenly tweets a private message about a mysterious takeover. Lol. You’d have thought that someone might have explained to ex-Goldman Sachs banker Anthony Noto how Twitter actually works before he became its chief financial officer in July, but apparently not. Last night, Noto pressed publish on a sensitive note intended as a private Direct Message (or DM, if you’re down with the lingo), and it’s gone viral. How. Mysterious. Which company (or people – ‘them’ is ambiguous) does he want to buy? Continuing the slavery theme, who does he plan to sell, exactly? Who was the message intended for, and why is Noto ‘still’ interested in buying? The message is frustratingly, almost deliberately opaque, but then again maybe that’s the drawback of a 140 character limit. In October, re/code published an interesting list of companies that might make smart acquisitions for Twitter, which has been struggling to meet its user growth targets. Perhaps it’s after GPS-based coupon company Shopular, or Canadian messaging app Kik? Maybe it’s targeted news reader Prismatic or, most appropriately of all, anonymous messaging service Secret. Each of these could integrate well into Twitter’s service, because they'd add their strengths - functionality - to Twitter's reach. Indeed, Twitter is already working on allowing users to embed videos and send more sophisticated private messages (if only that had been around for Noto), as part of a strategy it hopes will increase its revenues tenfold over the next ten years. There’s really no way of knowing which company Noto was talking about, of course, unless you happen to be aware who’s meeting with Twitter on December 15th or 16th. Better keep your eyes on his feed for any more gaffes, just to be on the safe side.